All Elwood homes currently listed for sale in Elwood as of 04/20/2019 are shown below. You can change the search criteria at any time by pressing the 'Change Search' button below. If you have any questions or you would like more information about any Elwood homes for sale or other Elwood real estate, please contact us and one of our knowledgeable Elwood REALTORS® would be pleased to assist you. "Gorgeous country setting with 9X12' ceilings main level, 9' basement ceilings, walkout patio and basement, plantation shutters, 2 full kitchens, full theater, professionally landscaped with waterfall, vaulted ceilings, granite counter tops, secondary water, shop of all man-shops, large enough for RV and all of the toys, electrical ran for 30 and 50 amp, central vac, room to grow in top two levels, sheet-rocked and electrical for however you want to finish your man-cave, this house has it all, schedule your appointment today! " 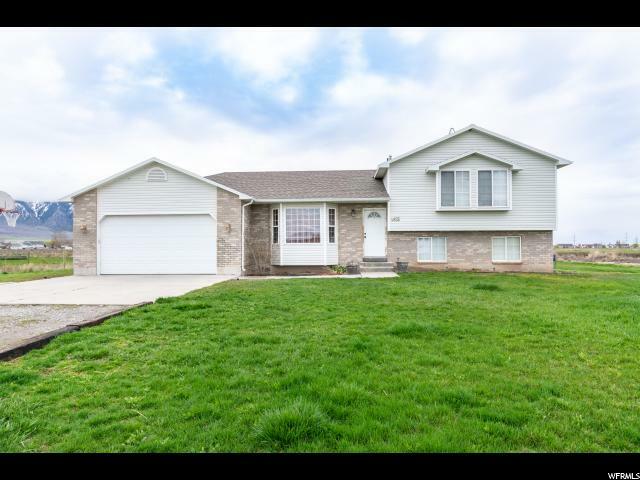 "If you're looking for an affordable place for you, the animals, and the 4-wheelers, you'll want to look at this amazing Elwood home! Located just minutes from the freeway entrance, this home is perfect for the person who wants to live in the country, but doesn't want to be too far away from town and shopping! With tons of storage, large master bedroom with en-suite, a big family room, workshop behind the garage, and room to park all of the toys, this is one you definitely don't want to miss!"